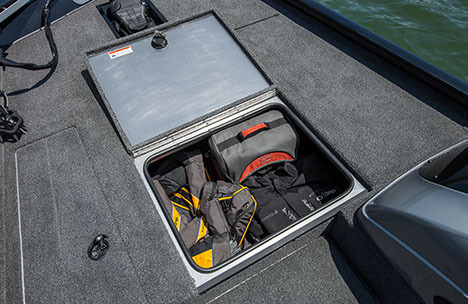 Bring everything with room to spare. 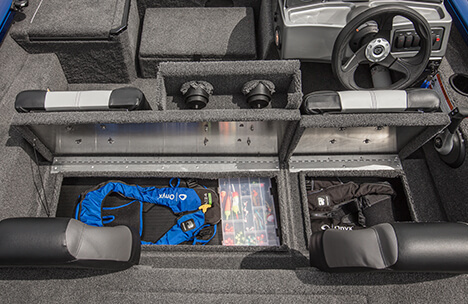 Big forward storage compartments keep the cockpit free of clutter. 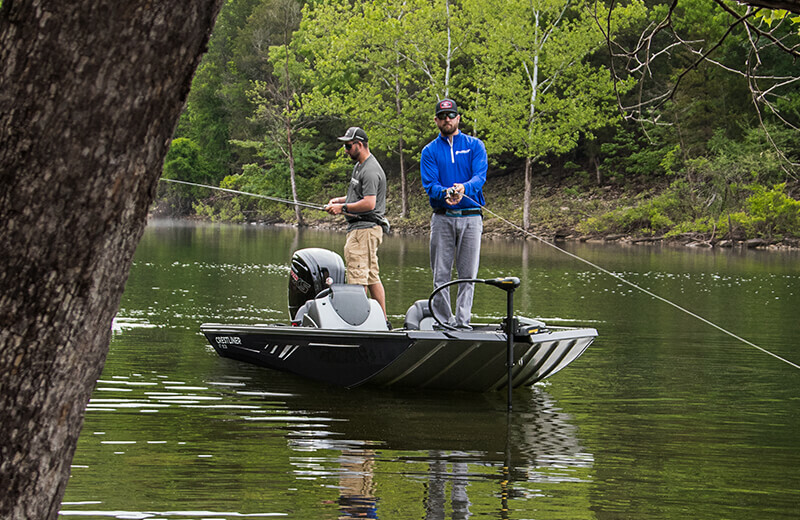 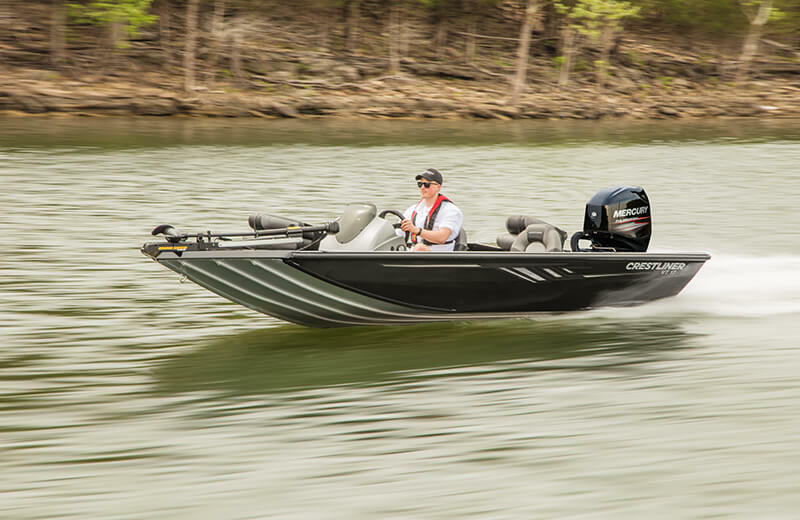 A large casting platform with 22-gallon aerated livewell complete with timer is right where you need it, when you need it. 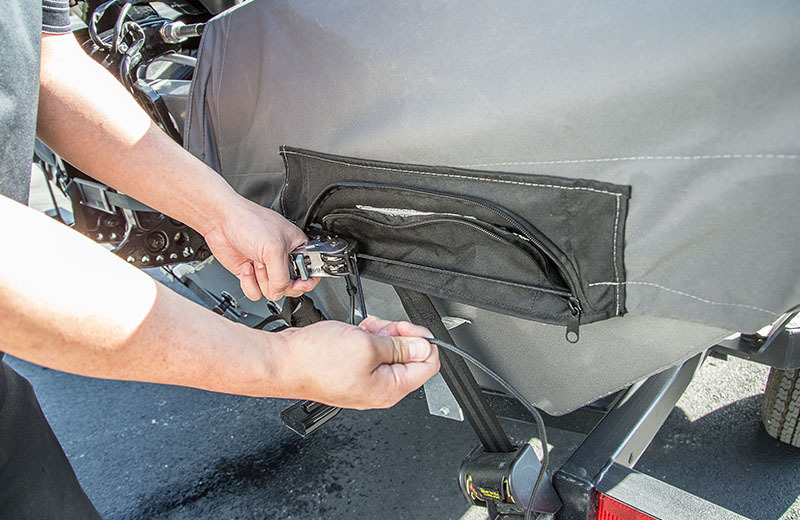 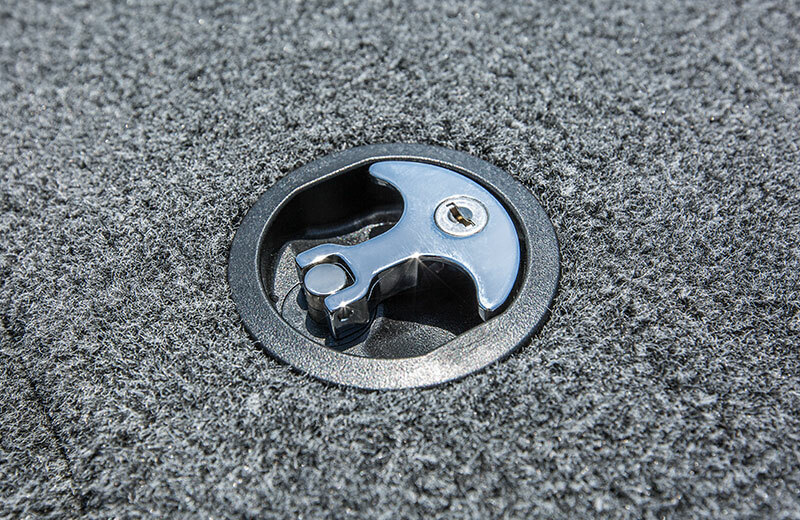 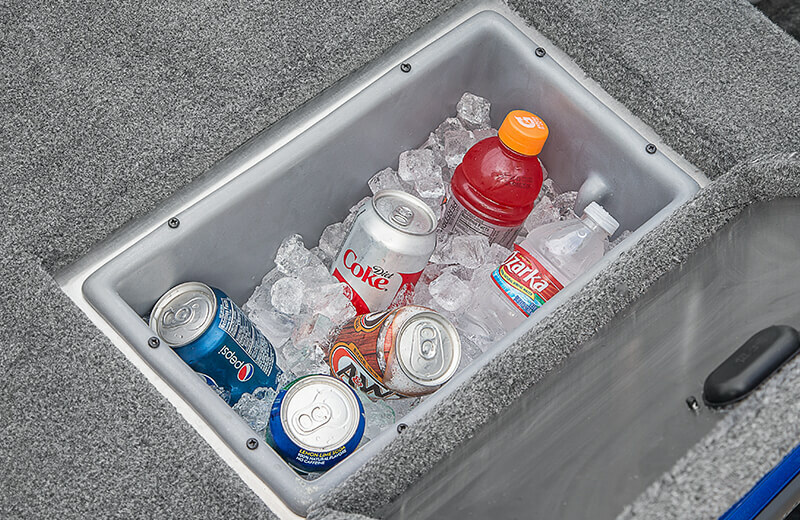 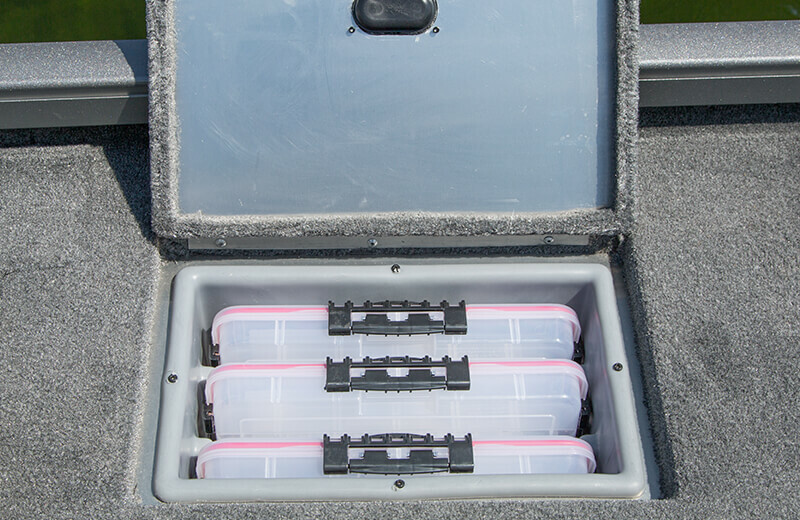 SureMount aluminum accessory brackets and buttons allow you to slide your favorite accessories along the gunnel for perfect placement without drilling. 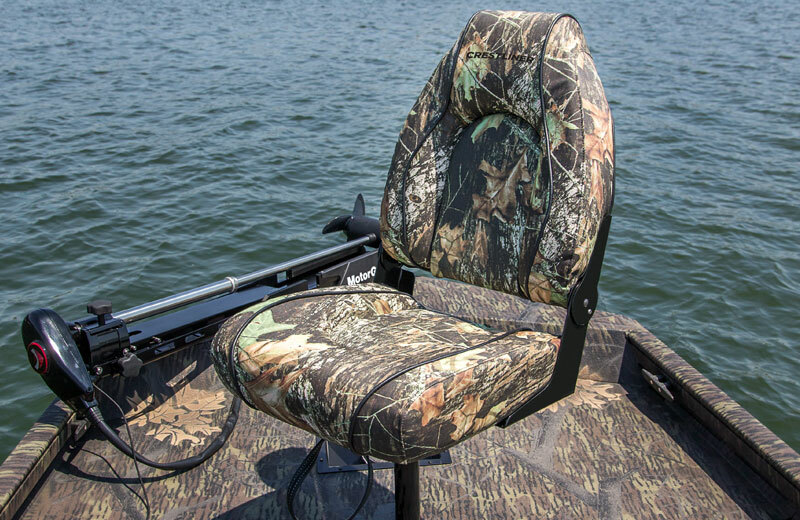 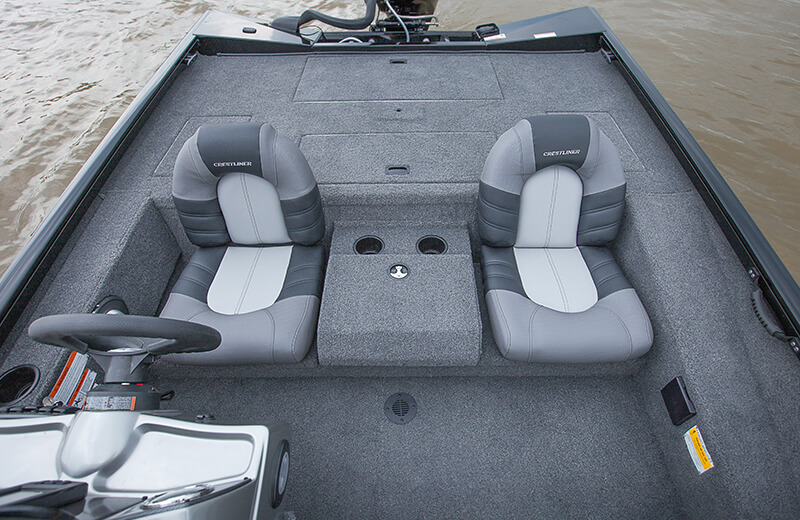 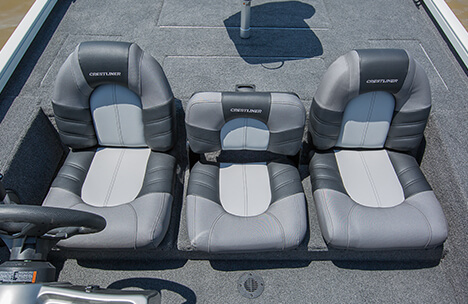 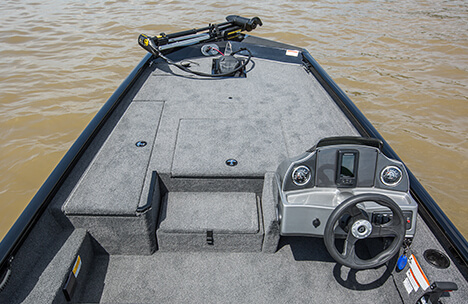 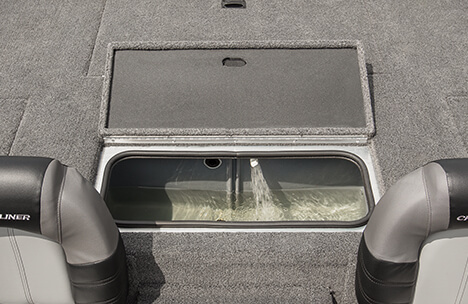 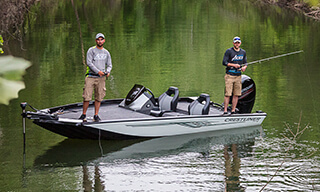 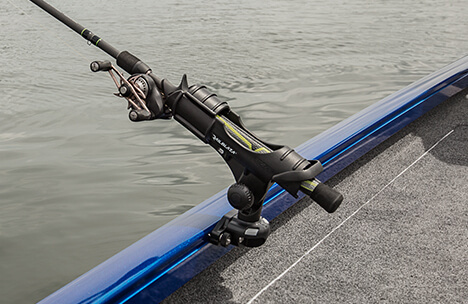 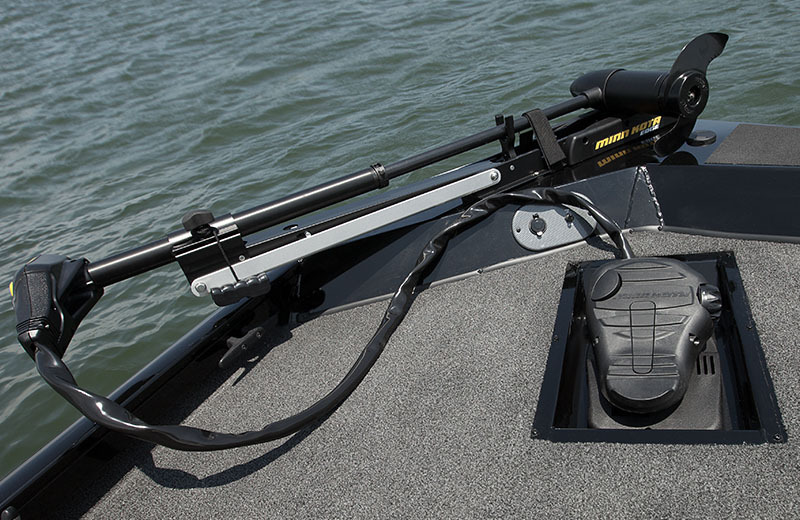 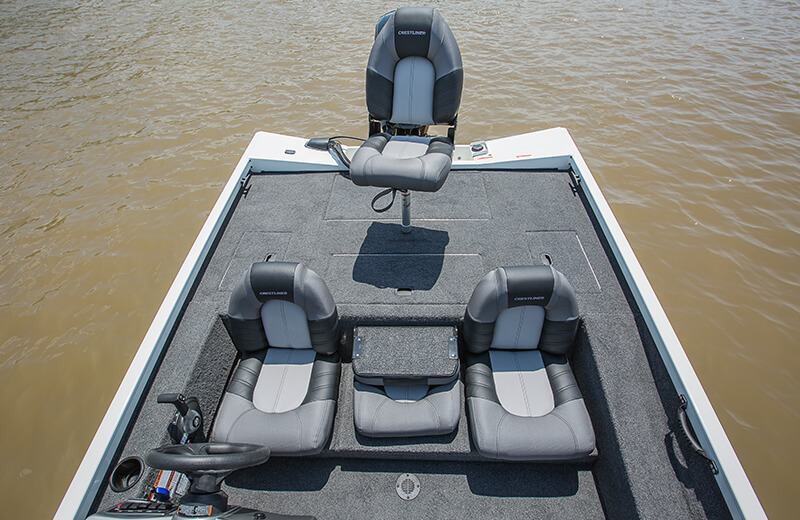 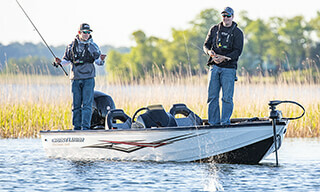 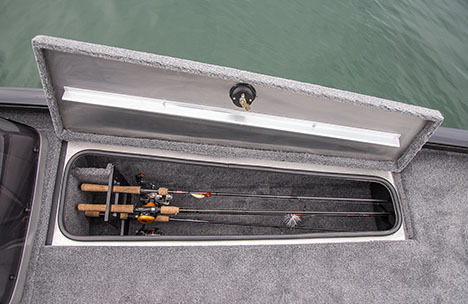 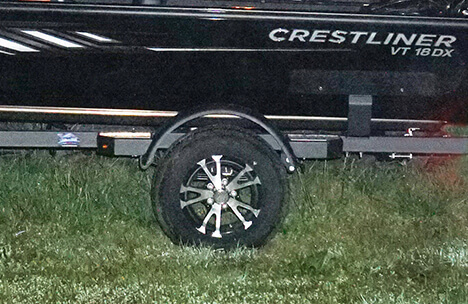 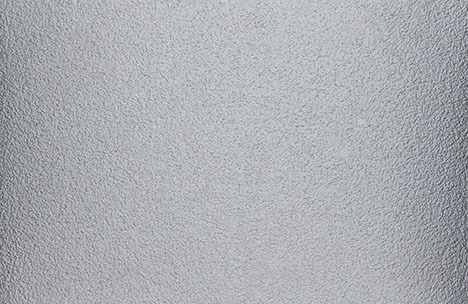 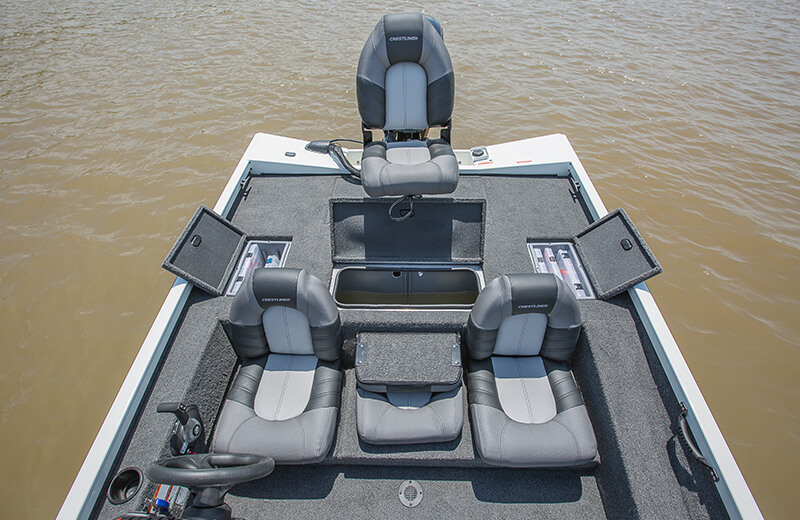 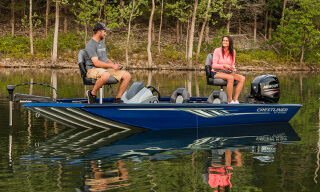 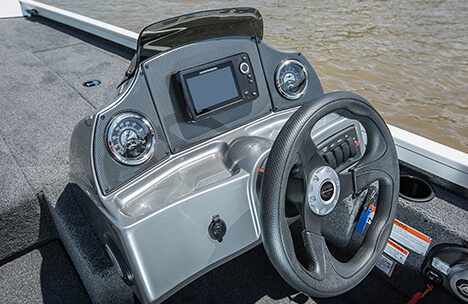 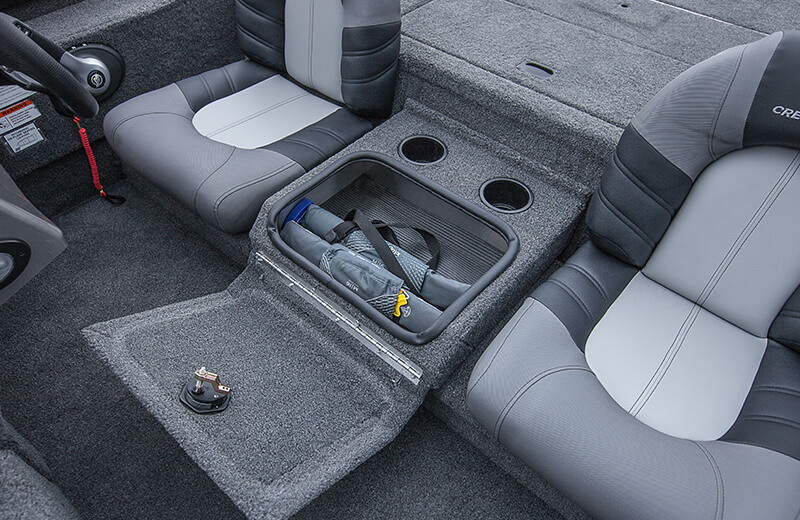 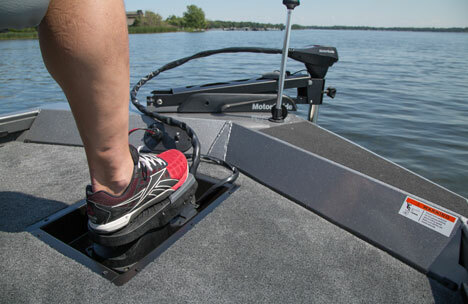 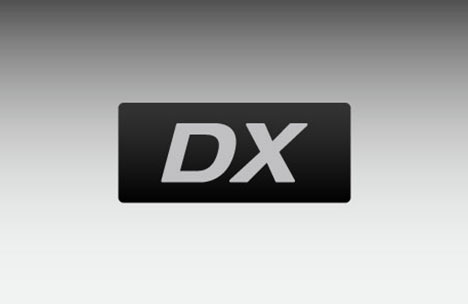 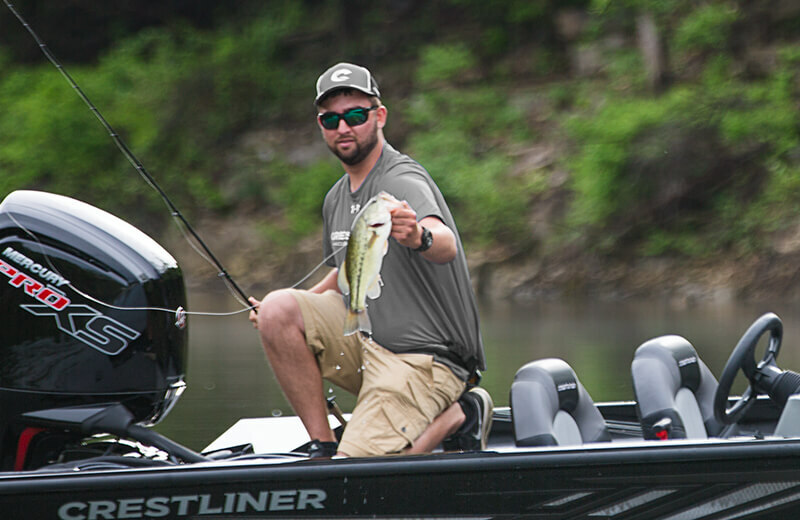 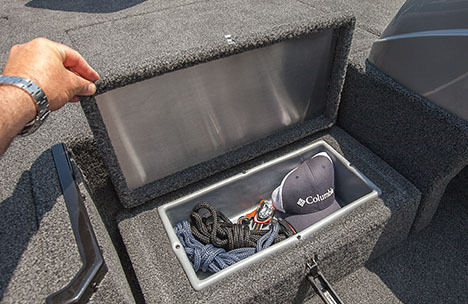 Optional port rod rack inserts provide additional rod storage for all-day angling.